A "new" cancer-fighting discovery really isn't that new after all. I'm talking about vitamin D.
A team of Canadian researchers has just found that the vitamin may block the growth of cancer cells and slow down the progress of cancer from pre-malignant to malignant. It finally explains--on a molecular level--just how it is that vitamin D has been so successful at fighting cancer, including breast cancer, colon cancer and pancreatic cancer. This news makes it hard it ignore or even say that vitamins are a useless waste of money. Basically, vitamin D targets a protein that cancer depends upon for cell division. This protein, called cMYC, is active at elevated levels in more than half of all types of cancer. 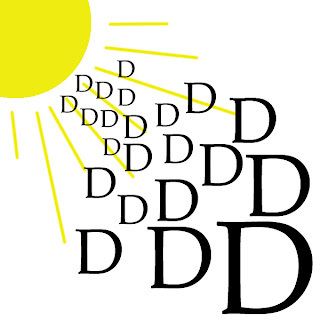 Vitamin D slows it down, while at the same time boosting the production of substances that can outright shut it down. As one of the researchers said, vitamin D "puts the brakes on cMYC function" and therefore puts the brakes on the spread of cancer. This is one of those times that "more research is NOT needed". In this case the researchers are so sure of their findings that they said they hope their research will "encourage people to maintain adequate vitamin D supplementation." The preferred method of getting natural vitamin D is spending 20 minutes in the sun with your face and arms exposed. A general daily dose for adults is 4,000 IU, which can be achieved by spending 20 minutes in the sun with your face and arms exposed. If you can't get enough from the sun (especially now that it's December and sunny days are few and far between), cod liver oil is a good source of D. Or check out this excellent vitamin D supplement here. I also believe that vitamin d or vitamin d3 is beneficial to our health. I know this because I've been taking vit d supplement for more than a year already.